The tool selection area of ZM contains all the tools you will use to edit models. It is comprised of the following tool types: create, display, modify, select, and surface. Each of the tool types and their respective tools are explained in greater detail below. IMPORTANT: I will not be covering ALL the tools right away. I will cover the important ones first, and fill in the non-important ones later when I have time. As the title suggests, the 'Create' tools are used to create things. Copy: Creates a copy of an object. To use this tool, select it and right click on any object in a viewing window. A copy of the object will be placed in the exact location of the parent object. Notice in the model tree that there is a new layer with the same name as the object copied. 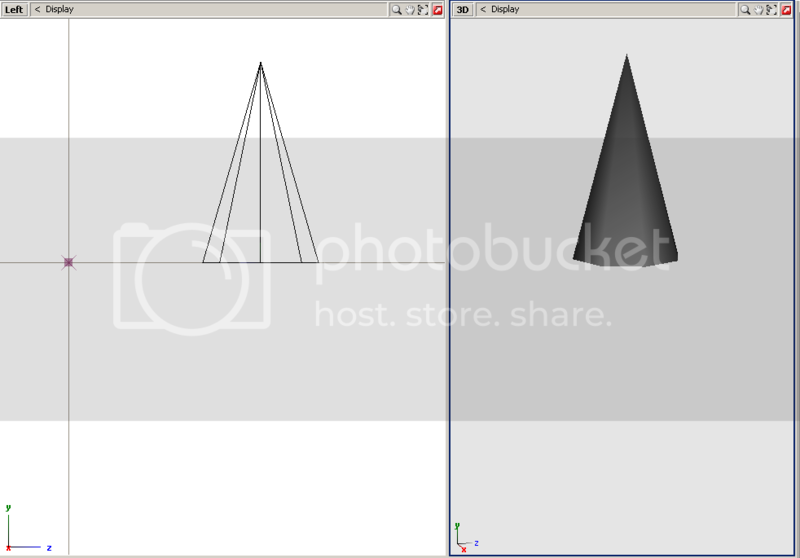 Polygon: This is used to create polygons on existing objects!!!! There are three types of polygon creation: fan, single, and strip. The polygons created are ONLY ONE SIDED. This means you will only be able to see them from one side. You can use this tool to fill in unwanted openings, or create surfaces where there are none. 1. Click on 'Create', 'Polygon', and 'Single'. 2. 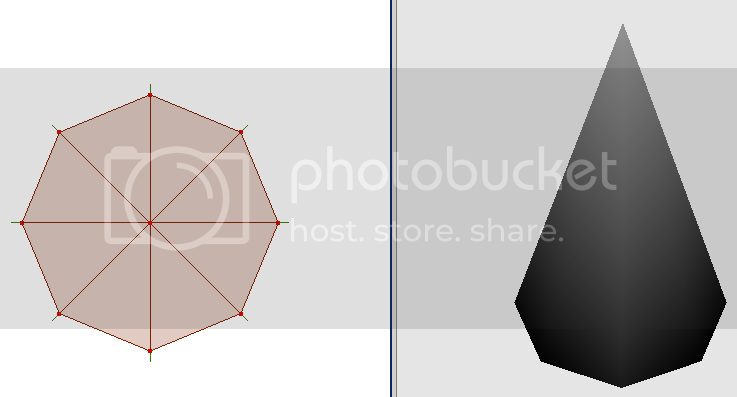 Left-click on the Vertex Selection tool (refer to Editing Levels Toolbar to see which one), then left-click on the object you wish to add a polygon to. 3. 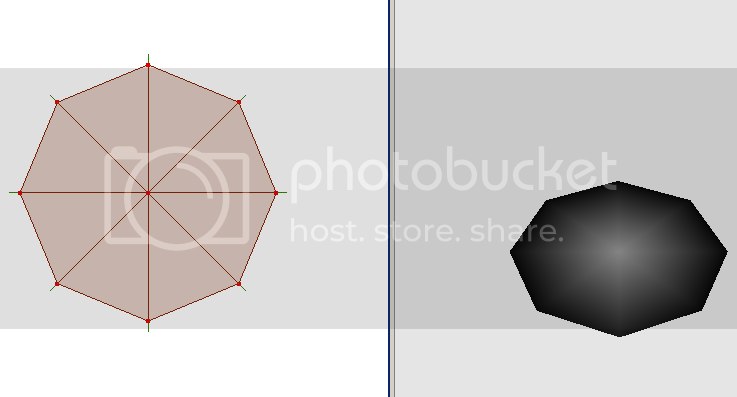 Left-click to start the first polygon point and click several more times to create more polygons in a fan shape. polygon just like any other polygons. 1. Begins the same as the first two types of polygons. 2. Left-click to place polygon points. This type of polygon creation is best used for creating flat rectangular sections (although, there is an easier way). The two inputs required by the user are columns and rows. The number of columns is the number of vertical sections that will be created. Rows specify the horizontal number of sections. An example of these differences can be seen below. 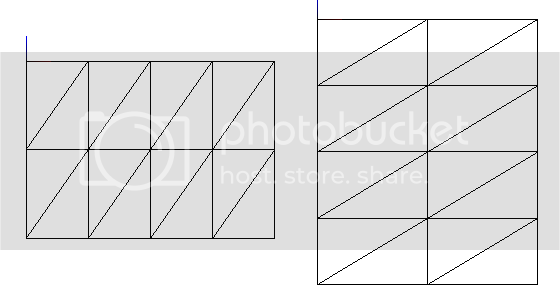 The one on the left is comprised of 4 columns and 2 rows. Likewise, one on the left has 2 columns and 4 rows. To begin creating a grid, set up your options and left-click in a window. Move the mouse and click again. And voila, a grid is created! 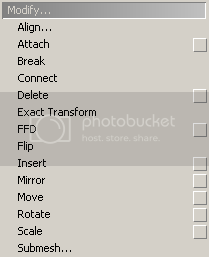 The display section contains tools and options for changing display variables. The only tools that are important in the Display section are 'Disable' and 'Enable'. These tools allow you to disable and enable the ability to select and modify points/edges/polygons on objects. Let's say for example there are two objects that are overlapping and I need to edit just one of them (but can't differentiate between the two...can't select which one I want to edit). If I disable the one that is blocking the object I wish to edit, I will not be able to select or modify that object, but it will still be visible. It is pretty useful when you need to adjust one object relative to another, but don't want that object to get in the way of things. The modify tools do exactly that; they modify objects or parts of objects. Align: There are three types of alignment tools: Axis, line, and plane. 2. Click on the align axis tool. into a line that is perpendicular to the axis you select. 4. Be sure 'Auto' is on (found in the lower right-hand corner of ZM). window, X axis was left/right. 6. Now that you have the points selected, make sure the 'Selected mode' is on (in the lower right corner). 8. Since I want a flat side of the tube, I have to apply steps 5-7 on the outer diameter (points 4, 5, and 6 in the next picture). Line and Plane alignment tools are not really used and are basically self-explanatory. Notice how the object is now flat. This is an easy way to flatten objects very quickly. 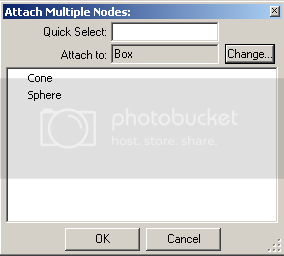 Attach: Attach is used to join multiple objects onto the same level on the model tree. I'll use an example to demonstrate. The main thing to note here is the fact that there is only ONE layer in the model tree. That layer is 'Box' because we selected that as the base layer. Also note, now all the objects are combined into a single object, as evidenced by the blue highlighted object on the left screen. Use this tool when you need to attach parts to a car mod. Let's say you have a new muffler that you made and want to attach it to a car mod. 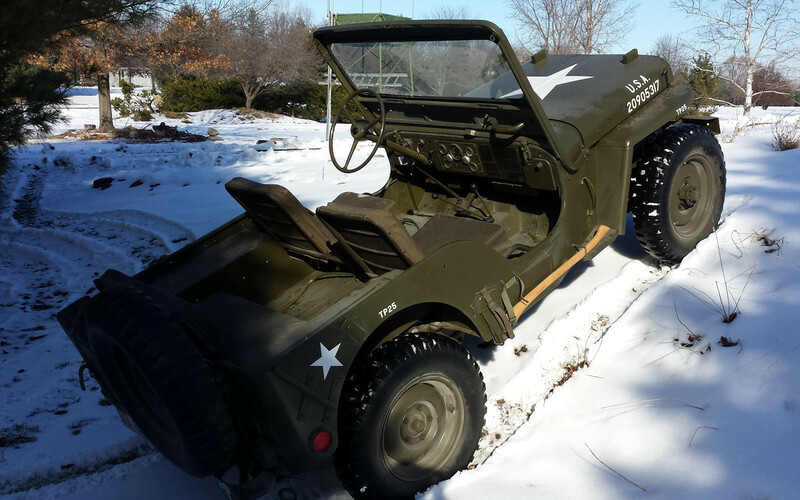 You would choose the chassis as the base layer and attach your muffler to it. Break: Break breaks verticies on objects. Rarely used. Connect: Connect is the opposite of break, it connects verticies on objects. Rarely used. Delete: As the name states, it allows the user to delete objects or parts of objects, depending on which editing level you are in. 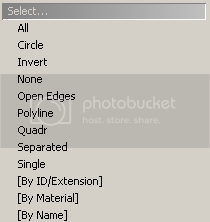 You can delete verticies, edges, polygons, or whole objects. Also, you can use the delete key for a shortcut. 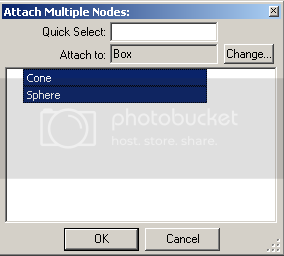 When deleting multiple objects (or verticies, edges, etc.) be sure the 'Selected Mode' is ON. Flip: By using flip, you can fix wrong mesh or texture problems easily. Basically, 'Flip' flips the side of a surface that gets textured. Let's say, for example, that I have a license plate that is textured on the back side, instead of the front side. Simply click the 'Flip' tool and click the license plate and the texture will be on the correct side. The 'Mirror' tool will become very useful when getting into the UV Mapping of parts. Move: Move is probably the most commonly used tool on ZModeler. To use it, select the 'Move' tool on the list. 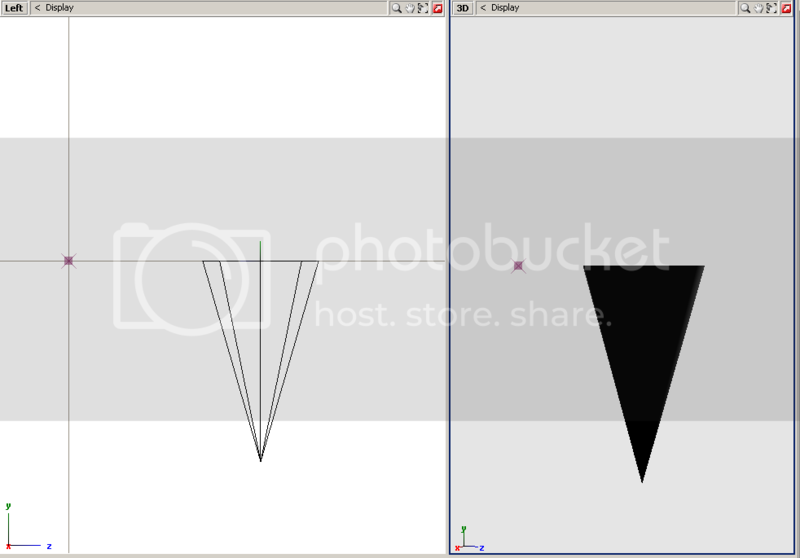 As with many of the other tools, it can be used on objects, polygons, lines, and points. Be sure to check the 'Editing levels toolbar' to see which level you want to edit. Also check 'Auto' and 'Selected Mode' features to make sure they will provide the right function. Keep in mind you can move objects in certain directions (X, Y, or Z), refer to the Coordinate System section if you forgot this. Rotate: Another commonly used tool is the 'Rotate' tool. This is used just like the 'Move' tool. You can rotate objects, polygons, edges, and points. I use the 'Rotate' tool most commonly when UV Mapping (explained later in this section). Scale: By using the 'Scale' tool, you can make objects bigger or smaller. This tool is pretty easy to use; Just select the tool and hold left mouse button and drag the mouse over the object. Keep in mind you can scale in any direction you want. This tool is an absolute MUST for UV Mapping. Selection tools give the user options for selecting objects, polygons, edges, or points on objects. A lot of these tools are extremely useful and should never be forgotten. They may not be used very often, but some of them will get you out of a pinch. There are only a few tools from the list that I use on a regular basis. They are: invert, polyline, and [By Material]. Invert: It selects the opposite of what is currently selected. Let's say you have an object that has 500 polygons and you want to select all but 5 of those polygons. It is faster to first select those 5 polygons then use this 'Invert' selection tool to flip the selection so the other 495 polygons are selected. [By Material]: This tool lets you select polygons by the material in which they are textured. The main thing to remember is that you MUST be in the polygon editing level in order to use this tool. To begin using the tool, enter polygon editing level and click on whatever object you wish to edit. 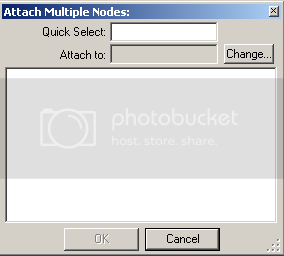 Next, click the '[By Material]' selection tool. A menu will show up with a list of all the materials that are used on the mod. 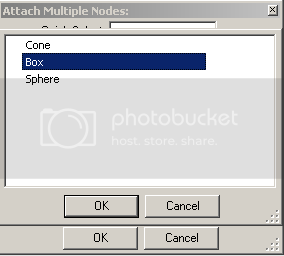 Select the material you wish to select on the object, and select 'OK'. This tool is extremely useful in retexturing a mod. The surface tools all pertain to texturing of objects in ZM.